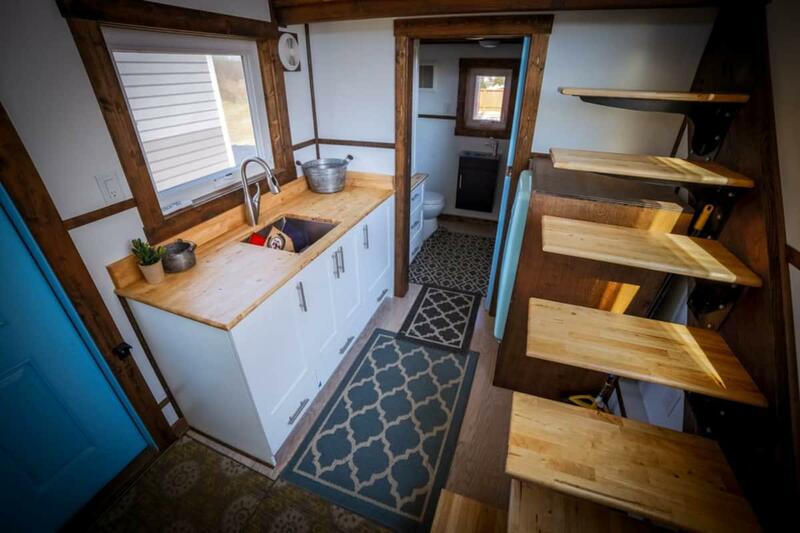 Built on a gooseneck trailer, this 248 square foot award-winning tiny home has two lofts and a 5 foot picture window. 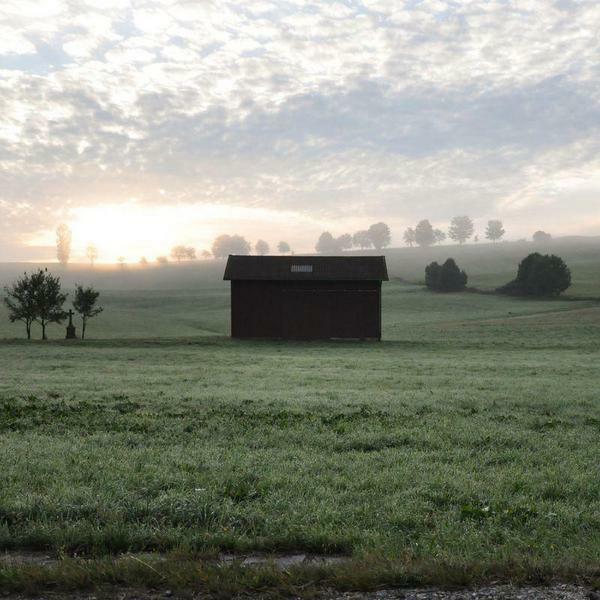 At 20 feet long, this tiny house on wheels is perfect for seasonal or full-time living. A V-shaped, floating staircase leads to the living room loft in one direction, and the bedroom loft in the other. The living room space has a den-like feel; a rectangular window keeps it from feeling too enclosed. 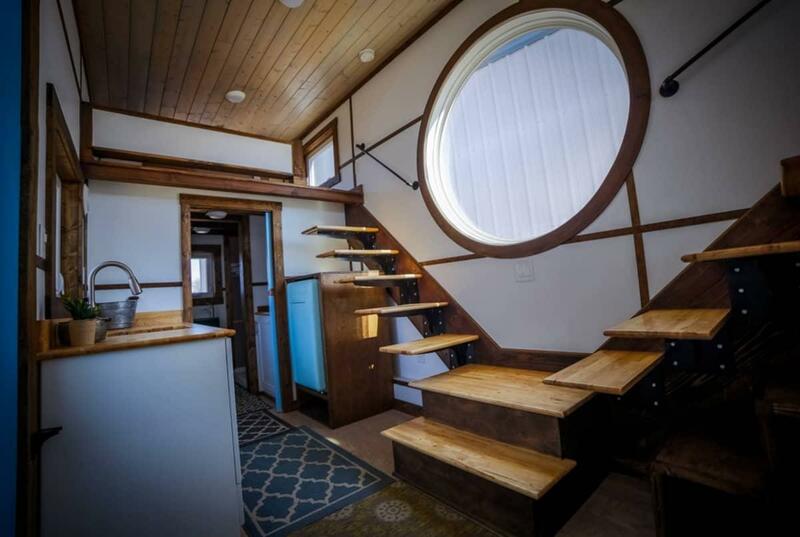 The V-staircase shows off that gorgeous picture window. A small kitchen with a sink, one counter top, a small fridge, and space for other kitchen essentials. 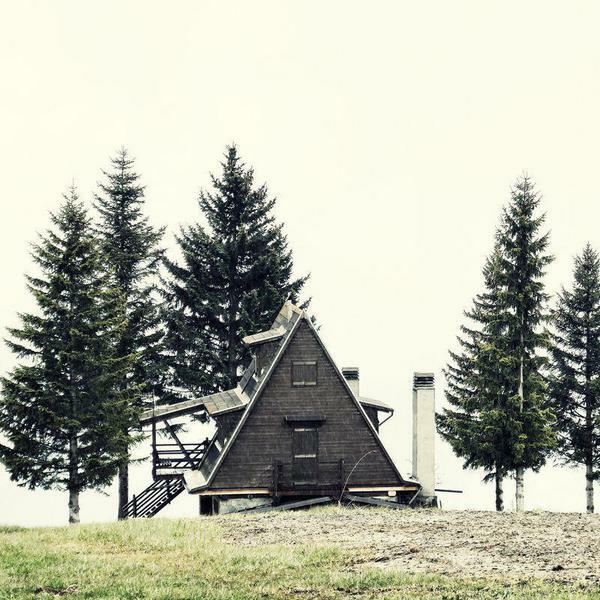 Anyone looking to really downsize will love this tiny house because it truly has room for everything you need and nothing you don’t. A small, yet mighty kitchen. 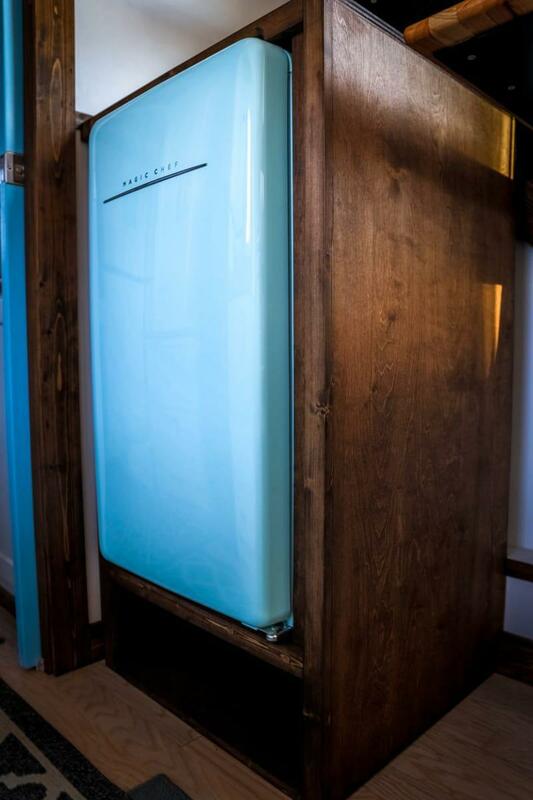 The perfect cubby hole for a small fridge. 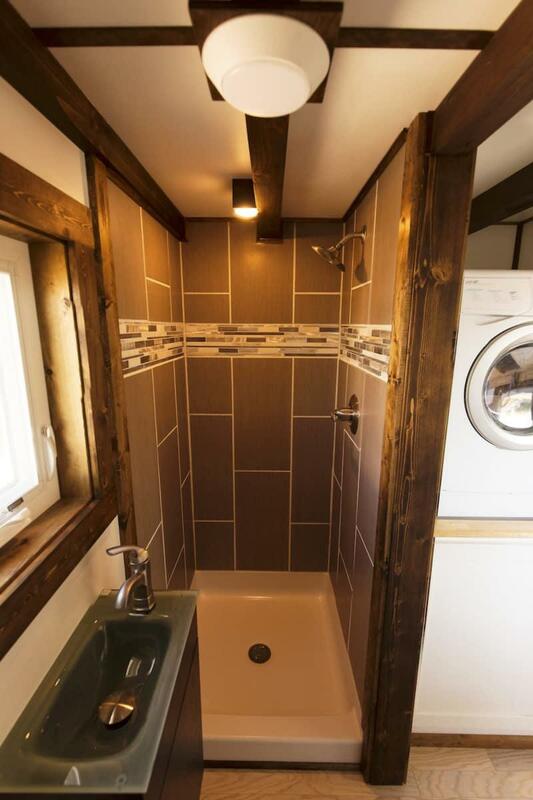 Just past a stackable washer-dryer is the tiny house bathroom. Although small in size, this bathroom has everything you would need and nothing extra. 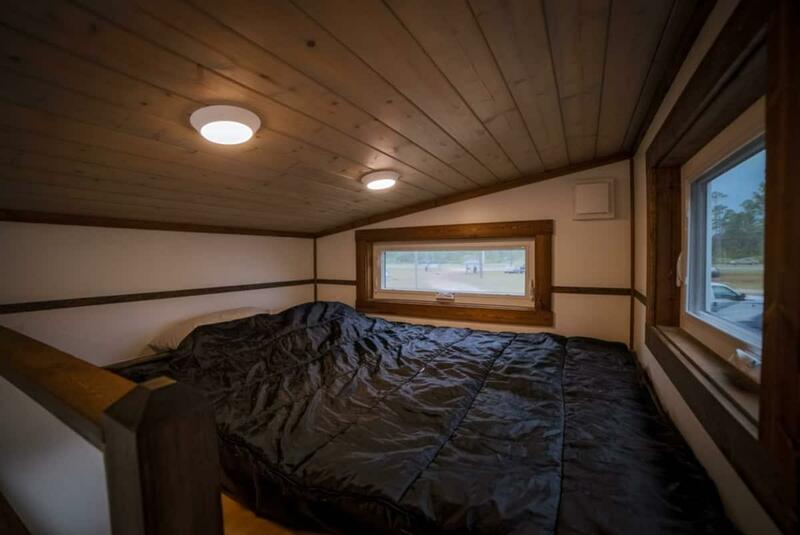 In this bathroom is a toilet, shower, and narrow sink. 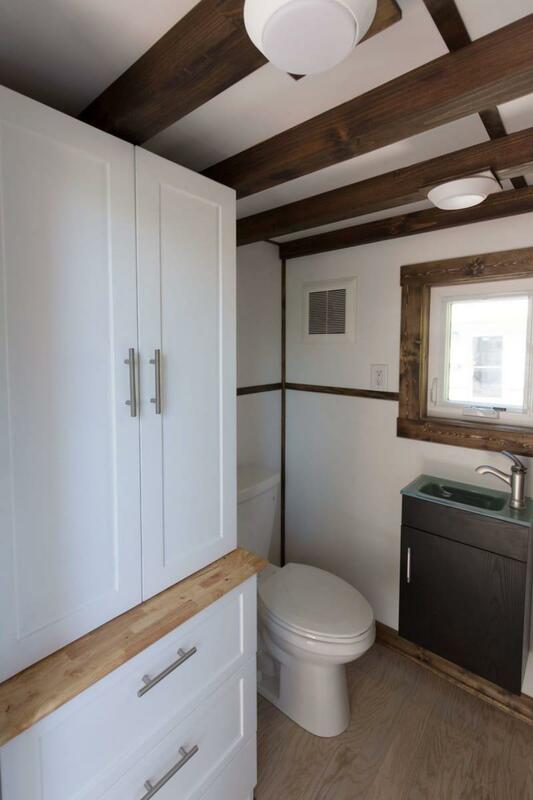 Plenty of storage space in this tiny house bathroom. 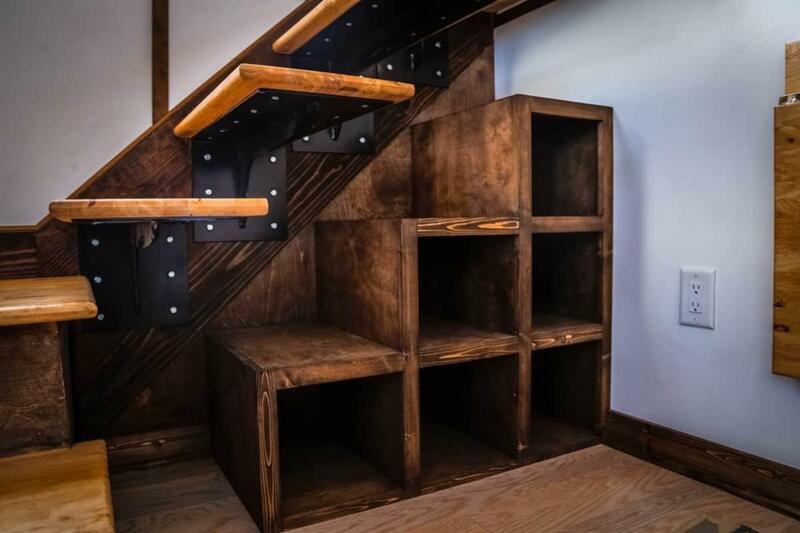 The V-staircase leads to a loft bedroom with enough room for a bed and not much else–although this shouldn’t present a problem, because there are several handy cubbies just under the stairs. The simple, yet comfortable bedroom loft. Storage cubbies beneath the loft stairs. This no-frills tiny is ideal for potential tiny homeowners who are looking to focus on minimalist living. 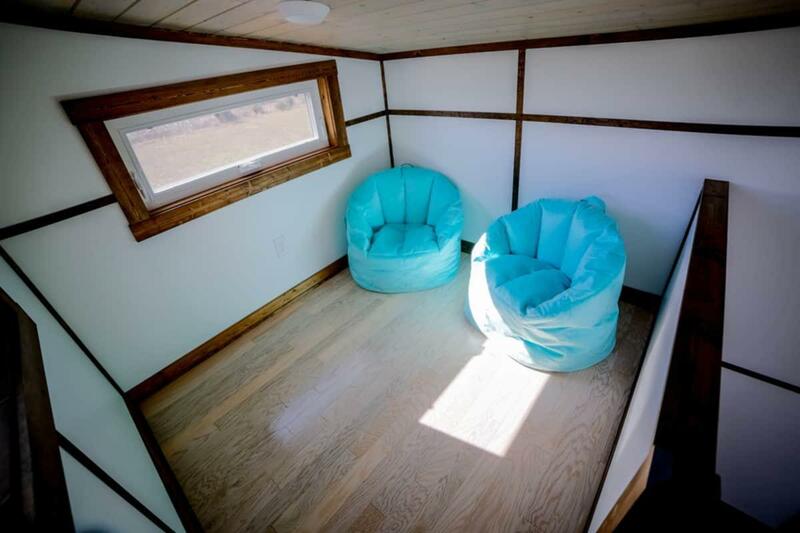 However, despite being a smaller tiny house, this 20’ tiny has a great deal to offer for the $64900 price tag. Prices may vary over time; for more information you can contact the builder here.